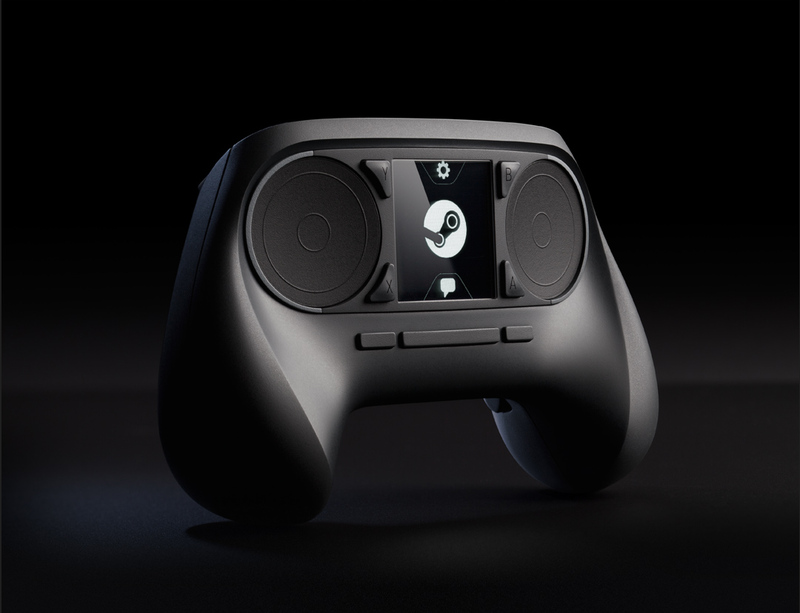 Over the course of last week, we had a glut of major updates from Valve in regards to their current Steam projects; namely, SteamOS, the Steam console, and the Steam controller. We’ve all known for a considerable time that Valve were working hard at these projects, but this is the first time we’ve had any substantial details to chew on. So, with that in mind, I thought I best go over the announcements themselves and try to decide whether it looks awesome, or meh. Fortunately, it’s the former. The first big announcement was SteamOS, Valve’s very own, multi platform operating system designed – as is everything in this project – specifically to bridge the gap between console and PC gaming, to the betterment of both. According to Valve, the OS will be built on “rock-solid architecture of Linux”, and I’m glad to hear it. Linux has been a kind of “geeks only” OS for years now, something that’s far too much hassle for the average Joe, but one that can reap considerable rewards for the dedicated gamer that sets it all up. To see Valve bringing a really underrated OS to the fore (even if it’s only a Linux foundation) is enough to bring a smile to my face, and it immediately gives me hope that this is going to be a success. Valve also claim it will provide a “gaming experience built for the big screen”. I’m going to go off on a minor tangent here – I hate that “the big screen” has become a buzzword when talking consoles (it was all over Blizzard’s D3 console port advertising, among other things), like PC gaming is somehow restricted to small screens. I have a 40” LED TV as my PC monitor – it’s actually bigger and better than my ‘normal’ TV. So why the hell would I want to literally downgrade? Anyway, getting back on topic, there’s a lot of this “big screen” stuff in their press release, talking about bringing Steam gaming to the comfort of your living room (again, what the hell? My PC setup is as comfy, if not more so, than sprawling on my sofa to play console!) and yadda yadda yadda. It’s all typical spiel, and I managed to not let my bias against the buzzwords and buzz phrases stop me from continuing reading. My perseverance is somewhat rewarded, when I read the next section about hardware upgrades; “users can alter or replace any part of the software or hardware they want”. This means two important things: firstly, it will be the first console that’s upgradeable akin to PCs, which lifts a lot of restrictions from consoles. Secondly, it means that tech savvy users can improve their systems and software themselves; indeed, there’s a lot of talk of everything being purposefully designed so it’s hackable. The rest of the details we get on the OS cover obvious filler things, that are basically either functions that every other platform already has, like music/TV/film players, or straight ports from PC Steam, like the cloud, and the upcoming game sharing features. There’s a little bonus in that you can hook up your SteamOS console and your PC and stream all your games from there to your “big screen”, but other than that it’s all pretty by the book. The press release about the ‘Steam Box’, as people have taken to calling the console Steam is developing, is disappointingly lacking; there’s a short paragraph on it, and the rest of the release is about how you can apply to be a beta tester. There is, however, one little gem that adds to a previous point – the Steam Box will come in a variety of specs, allowing gamers to choose a console more geared to their needs (the examples they give are the ability to optimise for “size, prize, quietness or other factors). Basically, this just cements the fact that Valve are aiming to bridge that gap between PC and console by negating one of the biggest limiting factors of console, the inability to easily upgrade hardware. After a disappointing Wednesday release, Friday’s was, surprisingly, the most interesting of the three: the Steam controller. Valve are doing some interesting things with their controller, and are very open about their aim to combine the comfort of controller gaming with the precision of keyboard and mouse gaming. Instead of two joysticks, they have dual trackpads with super high accuracy, allowing for precision control – but most importantly, allowing game genres that were previously all but unplayable on consoles to be ported, like RTS and Simulation games. It also features numerous carefully placed buttons and triggers, as well as a Wii U-esque touch screen display, only with the added caveat that whenever you activate the screen by touching it, it brings the display up on your TV so you don’t have to look away from the action. All in all, it’s actually a very impressive controller, and looks like it could considerably move controller tech forward. Taking a look at the whole picture, it looks like Valve are singe-handedly going to fix everything that I don’t like about console gaming – the inferior input, inferior specs, non-upgradeable hardware, and the more restricted number of titles; this could be a console that I’d be happy to do more than just play beat-em-ups on! So why can I not seem to muster up any real excitement for it? Having sat here and mulled this question over, I’ve come to the conclusion that whilst Valve are working tirelessly to bridge the gap between consoles and PCs, they are still, by definition, playing catch up. Why would I want to buy a SteamBox or some other SteamOS console, when I already have a PC rig that can do everything it can, and more? We’ve already established that the “big screen” excuse doesn’t apply to me. It all seems just a little…pointless. That being said, I did then try to look at it from a console gamers point of view, and thought that this would probably be a godsend if I were one. Unfortunately, when I spoke to Hill (a dedicated console gamer) about this, he felt very lukewarm about the whole deal as well, unsure just how successful it could and would be, and would only really be interested if the third installments of the big Valve franchises (Half Life, Portal and Left 4 Dead) were announced as exclusives. So I’m left in a strange place where everything about this ticks all the right boxes, yet at the same time leaves me feeling very dissatisfied. 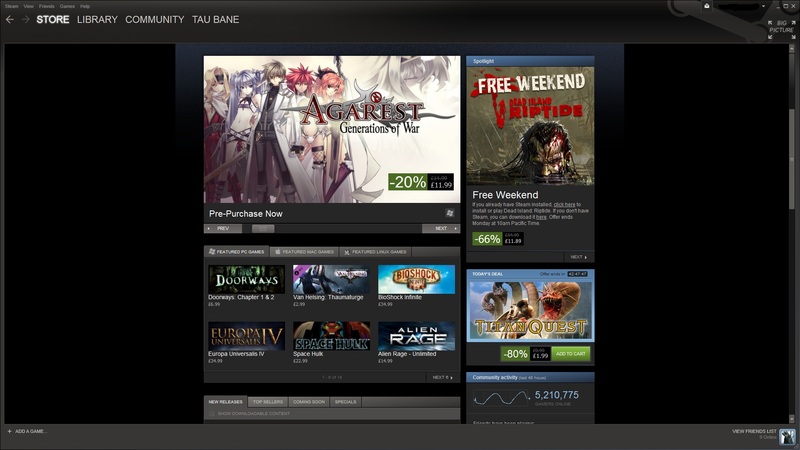 All kudos to Valve for innovating and trying to push the boundaries, but right now, I just can’t see this starting a revolution. It’s definitely a topic that will see more discussion from us in the future, and hey, you never know – maybe Valve are just sitting on that one thing that will make everyones minds explode. Until then, though, this has been Blacksmith, writing for The Awesome Update.